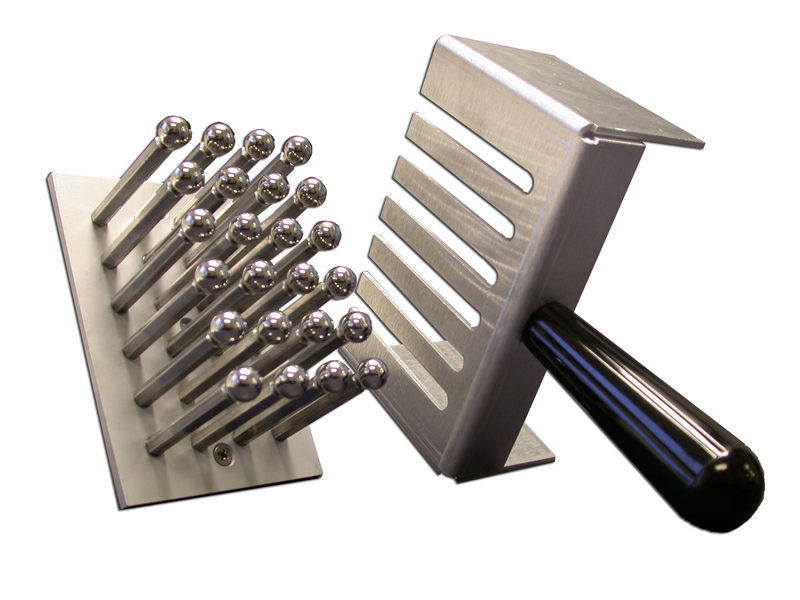 The Magnet Stand/Ball Separator used in conjuction with the 24 Pin Magnet, can be utilized to align the 24 Well Vial Set to remove and/or replace the grinding balls into vials. The magnet fits into the stand which is positioned above the vial set. Also, by lifting the magnet, the balls separate from the magnet and fall into the vials.